This automotive engine section is designed to give you an education on the core principles of operation and engine testing procedures for modern internal combustion engines. If you already know the basics just shoot to the bottom for the advanced auto repair articles. You will find testing tips and procedures for specific problems. This page has an overview of the basic principles and theory behind modern power plants. You can read your way down to the more advanced diagnosis and repair section as a refresher of the automobile’s most important system. Note that the diagnostic and repair parts will be much easier to absorb when you understand the principles of operation. Of course automobile engines are available in both gasoline and diesel configurations. These engines are considered internal combustion because the ignition and burning takes place inside the engine. These systems require an exact air/fuel mixture that arrives in the combustion chamber at the correct time. The combustion chamber is the space between the top of the piston and the cylinder head. It’s an enclosed area that the fuel and air mix is ignited and burned. The piston fits into a hollow metal tube, called a cylinder. The piston moves up and down in this cylinder. The reciprocating motion must be converted to a rotating motion before it can actually be connected to the wheels of the vehicle. This change of motion is accomplished by connecting the piston to a crankshaft with a connecting rod. The up-and-down movement of the piston is converted into a rotating motion via the connecting rod. The top of the connecting rod attaches via a wrist pin to the piston that is moving up and down in the cylinder. The bottom end of the connecting rod attaches to a round crankshaft journal, and this is how the reciprocating motion is converted to rotating. At the end of the crankshaft is the flywheel that transfers engine power through the drive-train to the wheels. The engines flywheel along with the rotating crankshaft have all been matched and balanced from the factory. This is done to remove vibration caused by high rotation speeds. A flywheel can be connected to a manual transmission through a clutch and pressure plate to provide direct physical connection with no slip. With automatic transmission the flywheel is connected to a torque converter filled with specialized hydraulic oil that provides a strong fluid coupling between the engine and automatic transmission. In order to have complete engine combustion the exact amount of fuel must be mixed with the right amount of air. This air fuel mixture must be compressed in a sealed area, and then ignited by a spark created by the ignition system at exactly the right moment. Each cylinder should receive the same amount of air fuel and spark if the engine is to run efficiently. Although the combustion must occur in a small sealed area it is necessary to let air and fuel in, and exhaust gases out. To accommodate these requirements engines are fitted with valves. There are at least two valves at the top of each cylinder (the larger is intake). The fuel mixture enters the standard automotive engine through the intake valve. After the fuel has been burnt the exhaust gas exit through the exhaust valve. A rotating camshaft, driven by the crankshaft, opens and closes the intake and exhaust valves at exactly the right time. Camshafts have raised sections that are called camshaft lobes. As the camshaft rotates these lobes will lift the valve open by pushing it away from its seat. Once the cam lobe rotates out of the way the valve is forced closed by a high-pressure spring. Some camshafts can be located inside the engine block and operate the valves via push rods. Modern-day engines now have the camshaft mounted on the cylinder head area, cutting down on the length of moving parts. These are known as overhead cams. This is an oversimplified basic introduction to auto engine operation. For me I don’t think I really understood how all the pieces fit together until I rebuilt my first engine by myself. But dig into the articles below for more information about the operation, diagnosis and repair as I share some tricks of the trade. How does an internal combustion engine create the power to drive the vehicle? This is the must read page that explains each cycle on the four stroke engine. This video shows a well done 3D rotating animation of an engine being assembled and then started. This car engine video is awesome! Here is a crazy Idea! Build the same working plastic motor that I did when I was 8 years old. Learn or teach with this model car engine. 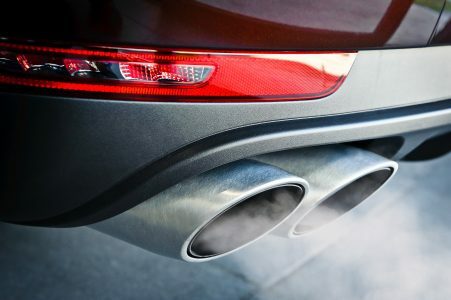 A noisy engine may be the first indication to drivers that a major problem is heading their way. This next page discusses valve lifter noise, rod knocks and a few other sounds that will require engine noise diagnosis. Did you ever hear a mechanic say that someone needed a valve job? Two common reasons that this operation might be necessary. Also included are symptoms and solutions for problems with engine valves. If your red oil warning light comes on and you discover a low fluid condition you have to find out where the stuff is going. This next article covers abnormal consumption and other engine oil problems. A compression test can provide a lot of good information about the overall condition of your engine. Learn how to do it by the book and interpret the data when performing an engine compression test. Okay lets say the above compression test provided some low numbers on a few cylinders. A leak down test may directly point to the problem. This is how you perform a cylinder leakage test. When your engine is running rough a power balance test can isolate the cylinder with the problem. I will discuss how to interpret the results and also how to perform the cylinder balance test. Speaking of rough running engines and balance, A fuel injector balance test can pin point injector issues. Learn about testing fuel injectors. The vacuum test is the fastest and easiest way to start analyzing a performance problem or rough running condition. The tester is also dirt cheap. Learn what the gauge readings mean and how to perform engine vacuum tests. See a practical example of the above engine diagnostic procedures used to solve a rough engine idle. Oil pressure can provide indications of the internal condition of a motor and how worn the bearings are. 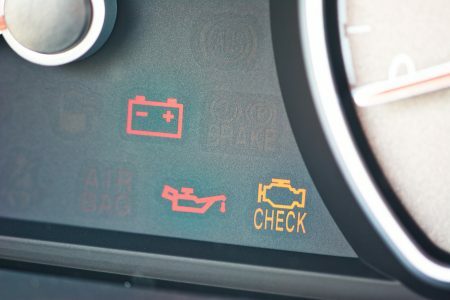 Find the most common causes of low readings and the procedure for engine oil pressure testing. After performing some of the engine tests above you may have some questions on how to use the results to identify problems. This next page provides an overview on engine diagnosis. You can’t complete a conversation about auto propulsion and not talk about the one that has been around 100 years. Learn about modern diesel engines. See the motor in the Mazda Rx line of cars. This power plant runs on regular fuel and has 4 cycles. Everything else is different. Learn about the internal workings of rotary engines. This car repair website has a homepage available from the next link. Find out what else is covered here and learn more about the car mechanic that built it. This next link takes you from automotive engine to the homepage.